It seems that the end might be here for the Punisher. Frank Castle started a new journey under Netflix with an original series, but it seems that the show is wrapping. 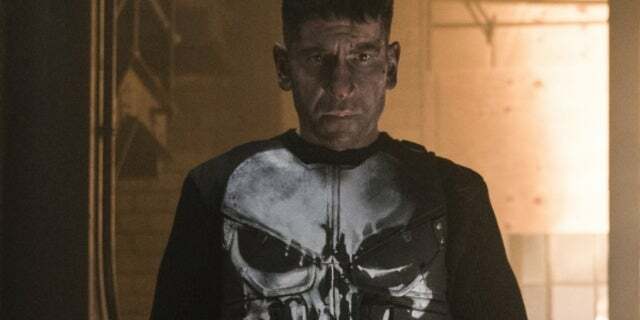 A brand new post from star Jon Bernthal has made the fans worry about The Punisher 's status, and it is not difficult to see why. Taking Twitter and Instagram, Bernthal wrote a bleak message to fans who seem to bid Frank Castle farewell. "To all who have earned. Everyone who knows loss. Everyone who loves and understands Frank and his pain. It has been an honor to walk in his boots. I am infinitely grateful to the comic fans and men and women "In the armed services and law enforcement communities that Frank means so much to. Thank you to the USMC and all the wonderful soldiers who trained me. Go hard. Be sure," wrote Bernthal. The caption was accompanied by a simple picture of the Punisher, which gave fans the opportunity to worry even more. At this time, there is no official confirmation from Netflix or Marvel Entertainment regarding a cancellation. ComicBook.com has made comments. While this post has disturbed the fans' hope for a continuation, the reports have long stated Punisher had a diminishing future with Netflix. Despite a sweeping second season, the show's relationship with Marvel Studios and Disney made a huge impact on Netflix's relationship. According to a recent report from Deadline The Punisher and Jessica Jones is not expected to be renewed by Netflix, and the prediction came after Defenders, Iron Fist, Luke Cage, and Daredevil were canceled again. Second season's debut debuted last month and left his future with streaming service up in the air, while Jessica Jones has not yet debuted her third season. No word has been given about how Jessica Jones will go after the upcoming comeback, but if The Punisher has been – punished with a cancellation, then it is only a matter of time before The Punisher bends out of Netflix's roster. Do you think Bernthal really separates ways with The Punisher ? Let me know in the comments or turn me up on Twitter @ MeganPetersCB to speak all things comics and anime!